This vintage-inspired bistro table exudes an industrial and architectural vibe to its surroundings. 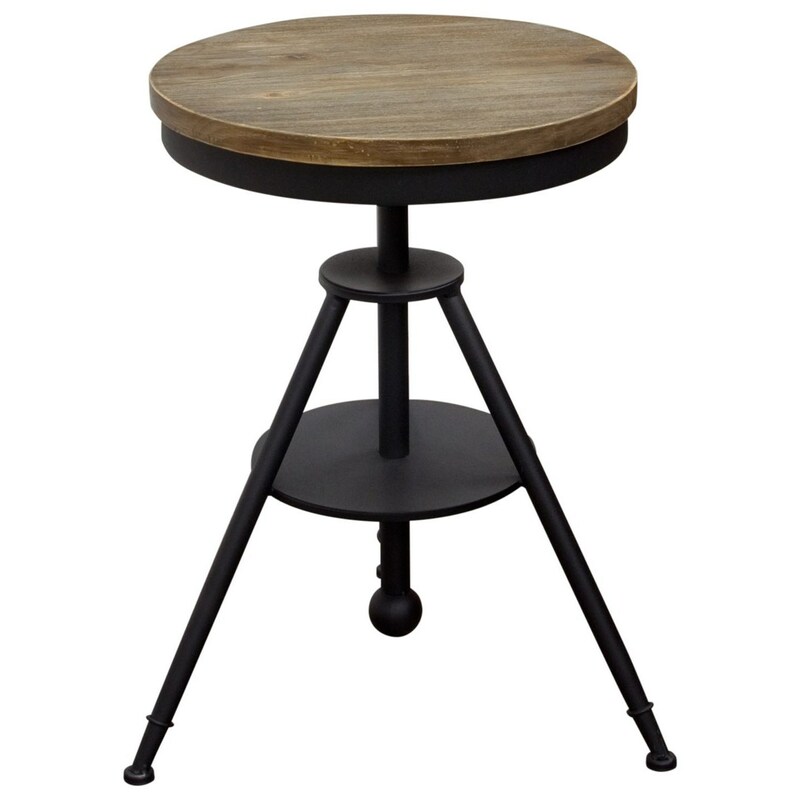 With its solid pine top in a weathered grey finish, the black powder coated iron base provides the perfect balance. Rotating top can be adjusted from 29 Inches to 35 inches in height providing the perfect setting to catch up with family and friends. Its functionality and flexibility allow it to be utilized for multiple purposes in and around the home. The Douglas Bistro Table by Diamond Sofa at Red Knot in the Oahu, Honolulu, Kapolei, Pearlridge, Salt Lake, Hawaii area. Product availability may vary. Contact us for the most current availability on this product.